There are a few birthdays coming up in my family, so I have gifting on the brain. BUT I have a very limited supply of gift wrapping supplies right now since most of our stuff is still in storage. So I rummaged around in my backpack and found a few things to play around with and I came up with these hand painted color block gift tags. 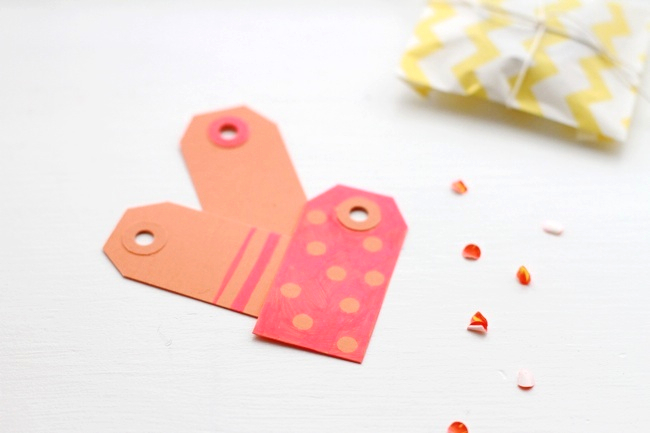 small gift tags (or make your own) *Paper and Present has a good selection. 1. 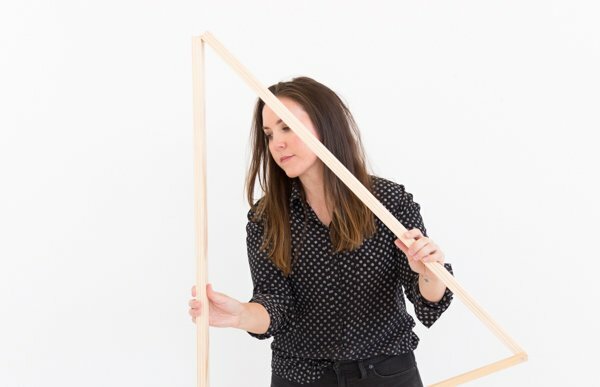 Painted color block technique – This one is pretty straight forward. Just grab you paint pen and get to work, drawing stripes or other designs. 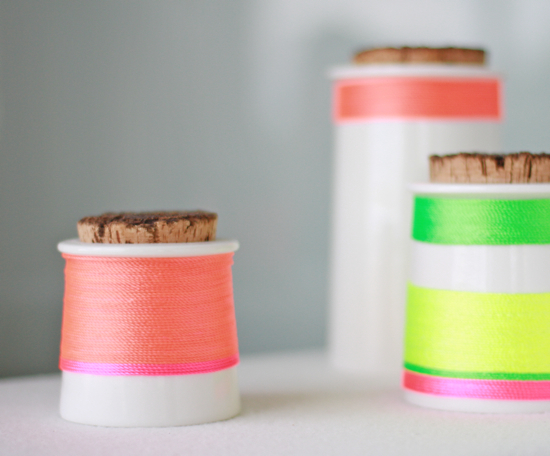 Make sure you think about your color scheme before you get started. I tried a few colors before I landed on hot pink paint for the tags. 2. 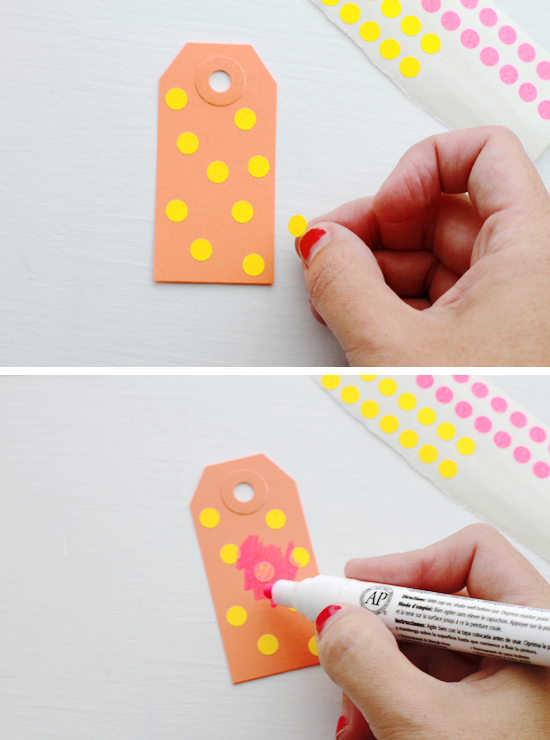 Polka dot technique – Grab your adhesive circle labels and stick them where ever you want on your tag. 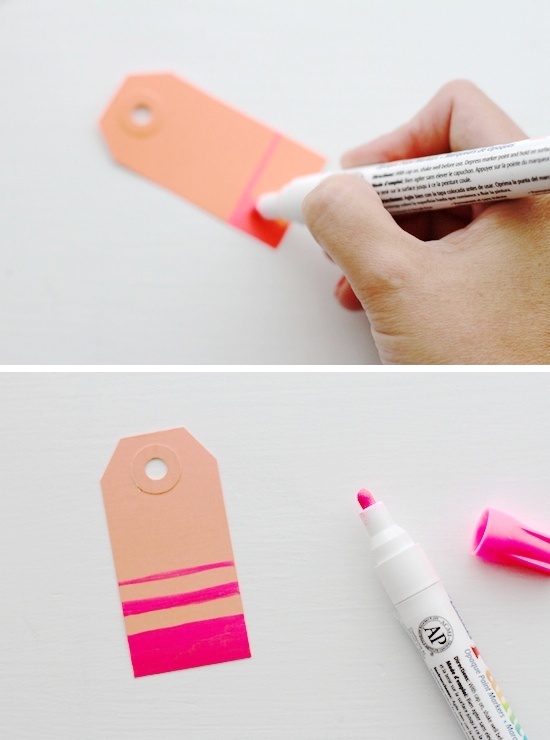 Then paint over the entire gift tag with your paint pen and let it dry. Carefully remove the stickers and touch up if necessary. I used a stamp on a few of the tags as well. I don’t use my stamps enough. I really need to start using them more. 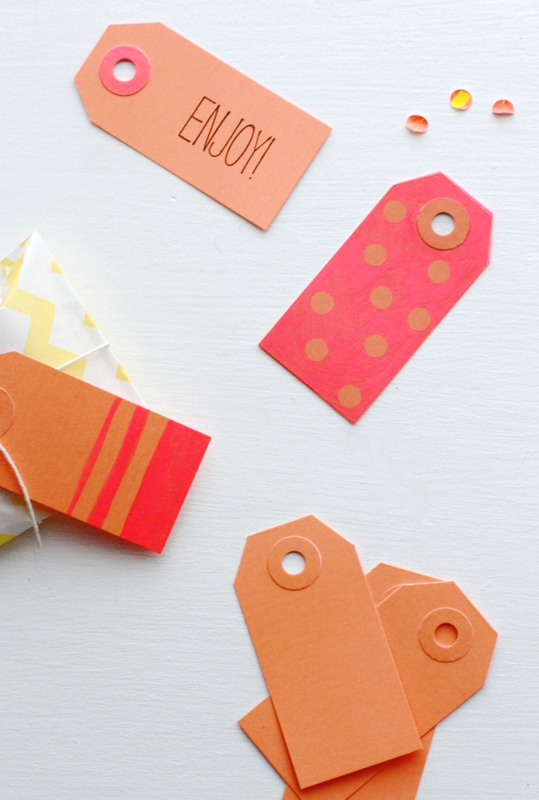 Will you try these color block gift tags the next time you are wrapping a pressie? < previous postWhat do you Want to be Remembered for? These turned out so nicely! What a great idea and so good to have that extra handmade touch. I love the polka dots! I love your cute and clever tags. 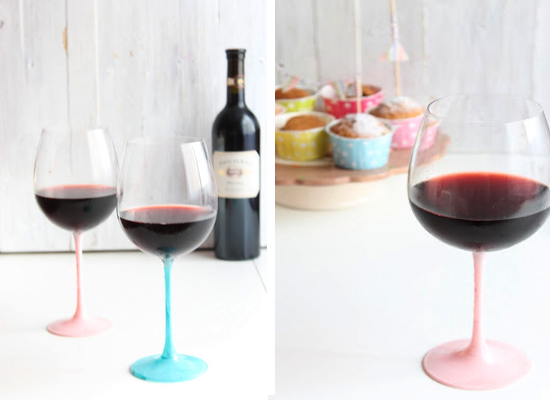 Great way to transform something basic into something awesome with only a few supplies. So nice to meet you in the ALT class with Victoria yesterday. Hi Chris. It was great to ‘meet’ you too. Your blog is lovely! 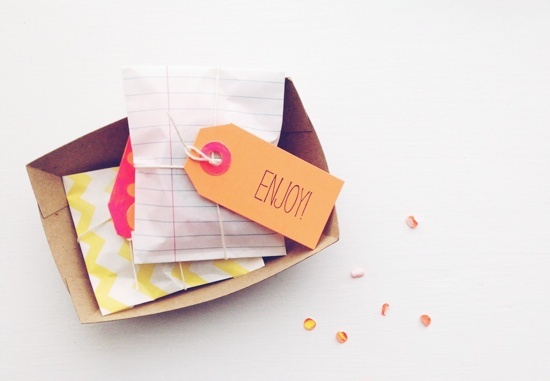 Love the idea of gift tags so much more than cards. I think they looks super cute with a pretty bow and the right paper. Dude…seriously…I LOVE these! And I know I can do it! I was totally thinking of you when I made these Melanie. You can definitely do this! such a creative and affordable idea! so cute! do you have any info on where I could find one, thank you for your time. Sorry Billy. I don’t know of a machine like that. Good luck in your search!